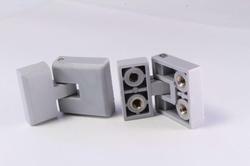 We Manufacture accessories for ABS Enclosures & Polycarbonate Enclosures. As a customer focused organization of the industry, we are offering a wide assortment of Polycarbonate Standard Enclosure to our valuable customers. In addition to this, to cater the requirement of patrons, we are providing products in various specifications. Polycarbonet Enclosures have very good aesthetic looks and are rugged. Get competitive quotes for polycarbonet enclosures from all reputed makes. Material:- Hager, Rittal, BCH, Hansel and many more. This Polycarbonate ABS Enclosure is widely used for industrial and electronic applications. We are engaged in manufacturing a wide range of Polycarbonate Enclosures. These enclosures are made by using high grade of raw material.